It took a lot of hard work to lose that weight and almost as soon as I had we started trying for baby two. This was followed by three years of my weight going up and down as I comfort ate, dieted, exercised a lot and stopped exercising altogether. The clothes I bought were boring and functional and I found myself a little lost in knowing what to buy for myself. I felt too old for Oasis and Topshop but wasn’t sure where that left me. My confidence was at rock bottom. The inability to conceive our much longed for second child affected me in so many ways and one of those was that I wanted to hide myself away and I think the clothes I chose were a reflection of that. Since having G I am happier than I have been in years, and as a 30-something I feel I’m finding my mum style. When you become a mum you give so much to the tiny humans you have created and it can take a while to find yourself again. 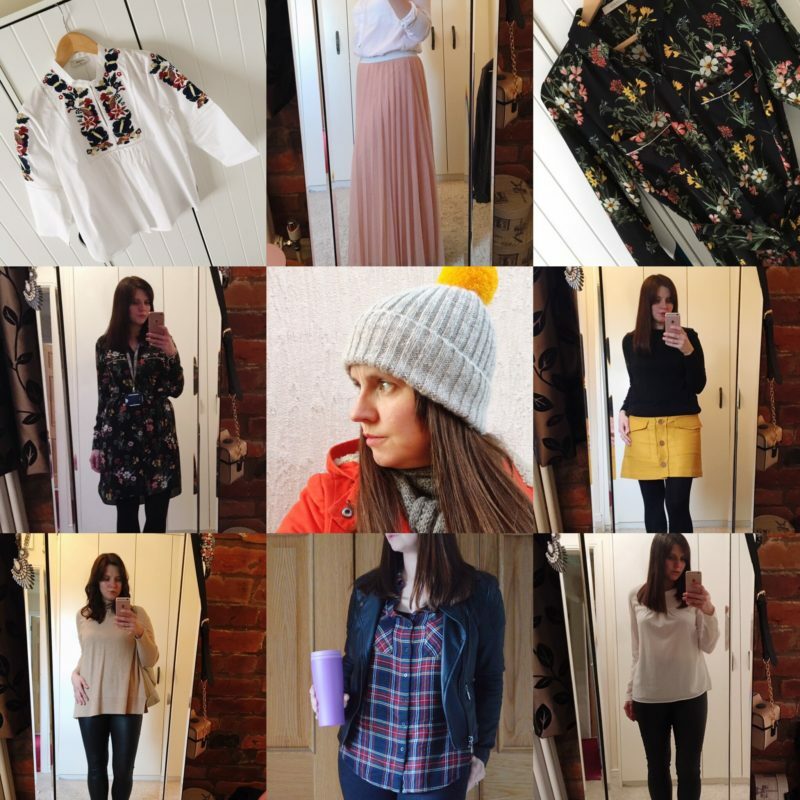 To celebrate our individual mum style I’m nervously launching the #notafrumpymum hashtag and I would love you to join in. For those outfits that make us feel fantastic, the practical daywear that is essential when you are running around after little ones, and the old favourites that we can’t live without. I’d love to see them. Morgana recently posted…The enamel pin badge trend – I’m obsessed! Great idea!! I’ll be joining in first chance I have. By the way I can totally relate to this, my body did the exact same thing all three times. Iris is now almost a year and I’m still a large 12, where I was a 10 before we found out I was pregnant. I’m now starting to wonder if I’ll ever budge this last stone! !